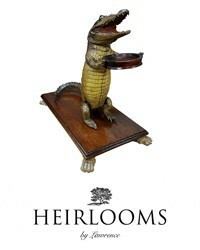 HEIRLOOMS by LAWRENCE to provide own terms and conditions. Consumer Contracts Regulations apply. 4 Vintage metal stacking stools in old paint. Georgian Pine Bakers Table in Original Paint.